We create for you a variety of, luxury snacks to take on board. 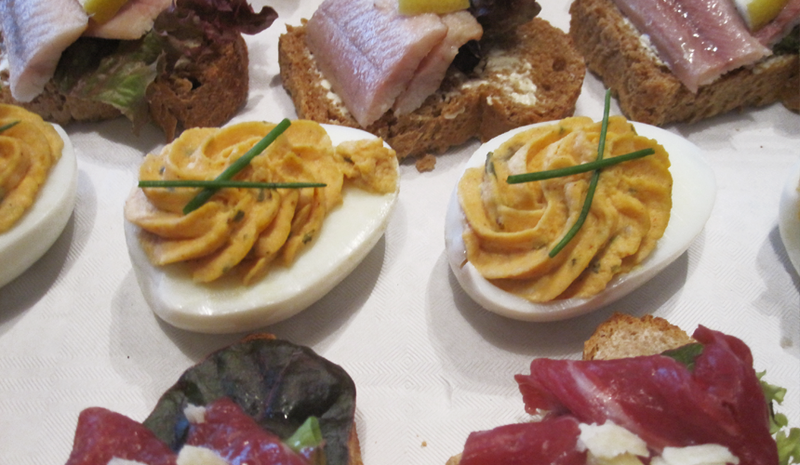 These tasty snacks which include a stuffed egg, French bread with salmon carpaccio or a sandwich. In this bites you get a fine wine, bier of fris. € 13,50 per person. En is vanaf 10 persons. We also offer an attractive package in combination with snacks and drinks on board. For more information, please visit our packages page.